2009 has been a remarkable year for the Boca Chica Elementary School! With the efforts and financial support from the Bainbridge Island Rotary Club in Washington State and the Rotary Club David, the Boca Chica Elementary School has finally been transformed into a welcoming, safe and healthy place for learning! Weekly English classes were taught by Bitsy McCants and myself, Dr. Donna Skinner…. well most weeks. Special thanks to: Howard Hanners, G. Brent Olson, (from the Bainbridge Island Rotary Club, Washington) and Roberto Barria (from the Rotary Club in David, Panama) for their time, energy and devotion to our Boca Chica Elementary School: Without them none of the wonderful 2009 improvements at the school would have been possible. Carl McCants can be counted on to hang bulletin boards, fix locks, etc. etc. Bitsy McCants, has been wonderful in teaching the youngest students English. And all others for their continued encouragement and support! A remodeled kitchen: sanitary, with a refrigerator! Enrollment continues to grow as the community continues to grow. For the 2010 school year we expect 44 students. But the GOOD NEWS is that we have been promised we will get another teacher this year! We have been promised another teacher before, but we are really thinking that this year we will get one! Sure hope so! I believe that daily attendance is up, because the school is a great place to be now. As logic would follow, if attendance is up, then more learning is occurring. Now isn’t that something to be proud of! 1. We have computers but no Internet. Internet is available in the area, but we will need a monthly commitment of funds so we can commit to an annual contract. Price monthly: $150 (med. speed) $200 ( 1mg, the fastest availalbe) – I am trying to negotiate a better price, wish me luck. 2. The water line to the bathroom sink is broken or clogged or something. We need to increase the water pressure to this hand-washing sink; the current water dribble is not adequate to insure proper hand washing. Not a big project, but a necessary one. 3. The copy machine was a welcomed sight! Copying from the chalkboard lacks educational value and wastes so much class time. We will need funds to continue to buy the toner cartridges for the copy machine / printer. 4. We need textbooks, workbooks, teaching supplies, education equipment, student school supplies, educational software…. for the coming year. 5. This year, 2010, we will have several students who will be graduating from 6th grade. In order for them to go onto 7th grade, they will need money for transportation. 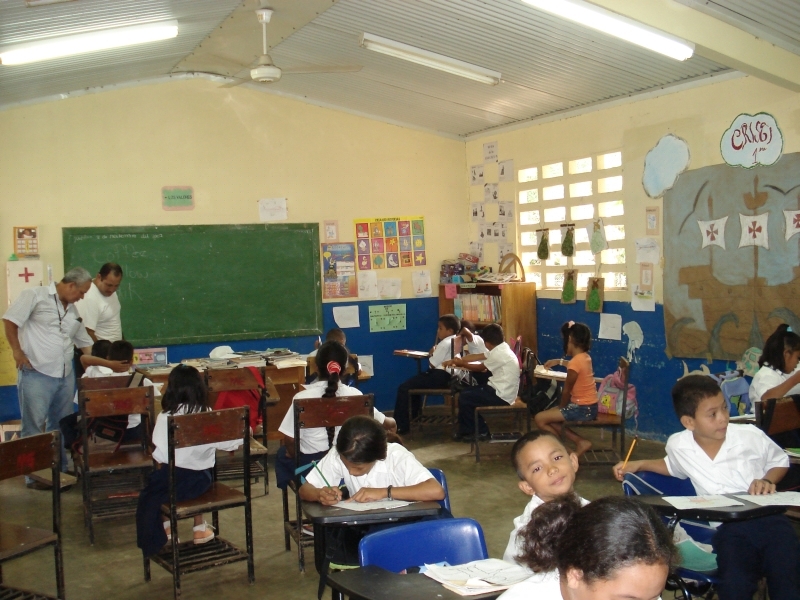 These 2 or 3 deserving, needy and willing students will require about $1.50 a day for transportation to San Lorenzo, the nearest equivalent to middle school. Scholarship money for this transportation is needed. Students would need to show a continued desire to further their education, not have the funds available via their guardians/parents, and would be monitored for school attendance for their continued transportation scholarship funding. 6. Replacement of old chalkboards with white boards and dry erase markers. The chalk dust goes everywhere and not good for the computers. 7. Pleasure reading books – The students and teacher will develop a library system for checking out books, once we have enough books for a “library.” Spanish and bilingual books: grades K – 6, all genres. Note: These children have no books in their homes. These books can be purchased locally. 9. Community: “Keep Boca Chica Beautiful”. Education, events and awareness. Materials and Supplies will be needed. The community continues to struggle with a littering (garbage) problem, thus a health issue – with guidance and increased awareness the Boca Chica children and other concerned citizens can change this. 10. Community: “Meet me in the Park” a preschool story time, 2 days a week for an hour or so. Books and volunteer parent training required. 11. Windows (2) with screens for the kitchen. Somehow this room got forgotten. 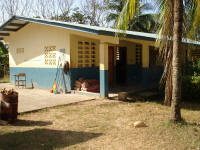 The Boca Chica Elementary School, for me, is a wonderfully rewarding worthwhile project, a labor of love. I am committed to helping these children to become all they can be and with your continued energy and financial support we can make a difference. Thank you! Thank you! Thank you! Enjoy the updated photos. 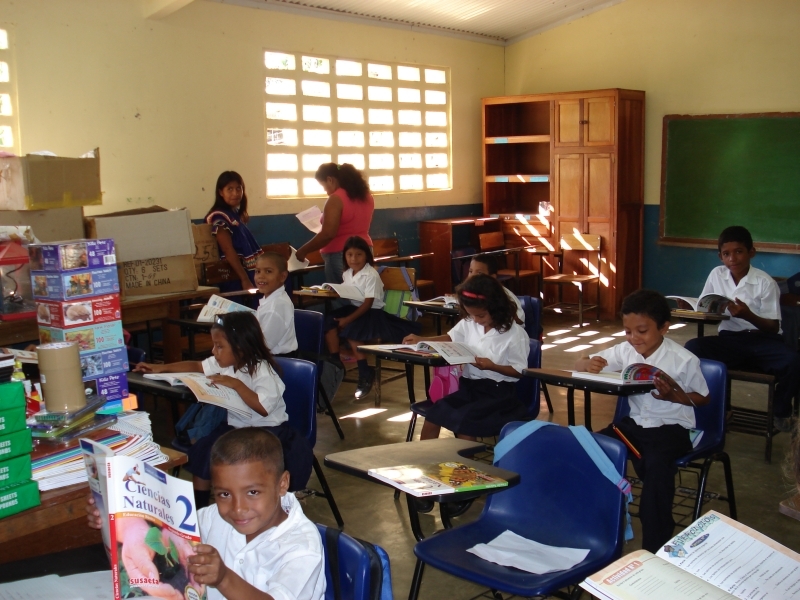 Anyone reading this that would like to make a monetary donation to the Boca Chica Elementary School can easily do so at your local Rotary Club and ask that the funds be forwarded to the Rotary Club in David, Chiriqui, The Republic of Panama, credited toward the BOCA CHICA SCHOOL PROJECT. 100% of your financial donation goes directly to the school; there are no administrative fees or WASTE. My best regards and my biggest thanks to everyone! Can’t wait to see what good things will happen in 2010! 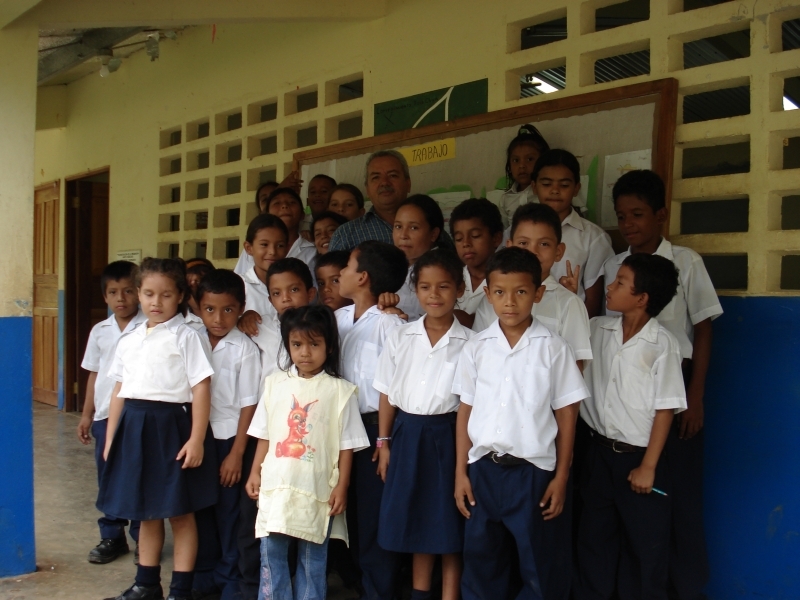 The Boca Chica Elementary School, grades 1 - 6, is Gone Fishing Panama Resort's ongoing community service project. The Boca Chica School is in dire need of many things, and as a former owner of private schools in the States, I could not but help at this school. So far, since 2003, we have set up a food program, milk program, improved the sanitary and health conditions, purchased textbooks and have the rudimentary start of a library. We have support of the Rotary Club of David, for which we are grateful. Our clients and some U.S. teachers have also been continued contributors to our project. Recently we have received support from two US Rotary Clubs! We are blessed! Our current project is a big one, we are adding on a classroom. 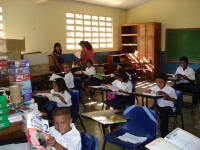 We only have one classroom for 28 students, grades 1 -6, with one teacher, so the need is grand! If you are interested in making a monetary contribution, if would be greatly appreciated, please contact your local Rotary or me. Many thanks to all that have contributed to this project. The children can now come to a clean, safe and healthy school! And NOW we are working on phase one of a playground. (There is not even a swing in Boca Chica) Check back here for the design drawing. We are developing a fishing village nautical themed playground! Contributions are welcome! If you would like to make suggestions or to contribute in another way please contact me via email. Dr. Donna J. Skinner drdjse@hotmail.com ALL contributions go toward direct student services, there are no administrative fees, no waste, I see to that!